Welcome new Wildcat Club members! We are thrilled that you have joined the Wildcat Club and are now a part of our over 10,000 members who support our 500 student-athletes. One of the benefits of being a Wildcat Club member is receiving this exclusive newsletter, which we call the Bear Down Buzz. The BDB keeps you in the know—you’ll find information on upcoming events, benefits, spotlights/interviews, and much more! By now, you have very likely heard about (or seen!) all of the construction going on in and around our athletic facilities. 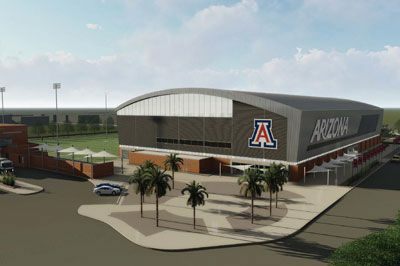 These updates are a part of the Arizona Athletics Capital Campaign. 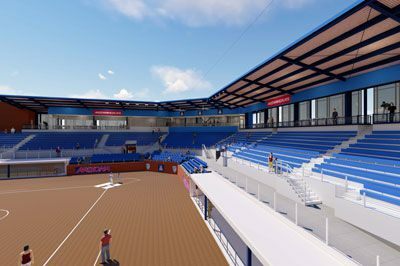 The campaign is a multi-facility project that supports all of our sports programs and 500 student-athletes. 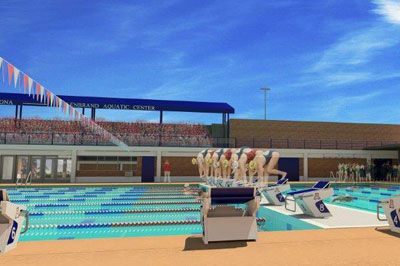 The campaign includes renovations to four current facilities and the construction of a new Indoor Sports Center. Wildcat Club members have helped make all of these projects possible and the impact these new and renovated facilities will have on our student-athletes and fans will be tremendous. Thank you! To view renderings, watch live footage of the construction, or to support the Capital Campaign! 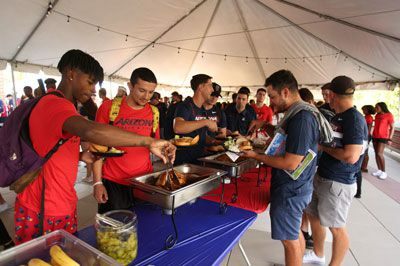 Every year, Arizona Athletics hosts a Welcome Back BBQ for Arizona student-athletes and staff to kick off the new school year. 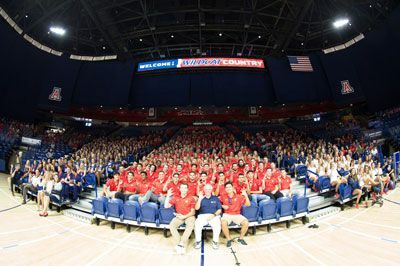 On Aug. 20, all Arizona sports teams gathered in McKale to hear from several Athletics staff as well as UA President Robert C. Robbins, who mentioned the importance of teamwork, leadership, and accountability. Coach Laura Ianello and the Women’s Golf team were also honored for their recent National Championship. After the speaking portion, our athletes headed outside to the Eddie Lynch Pavilion to enjoy some tasty barbecue! As we start a new school year, we also want to reflect back on last year’s accomplishments in the classroom. Below are the academic statistics from 2017-18—our Wildcats had a very impressive year! You are an important and valued member of the Wildcat Club family and as such we want to ensure that you have a great experience. Our Wildcat Club staff is always available to answer any questions you may have and help you navigate your Wildcat Club membership experience. 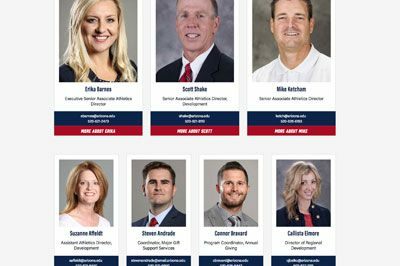 We invite you to take a moment to get to know our staff by clicking here to view the full directory. 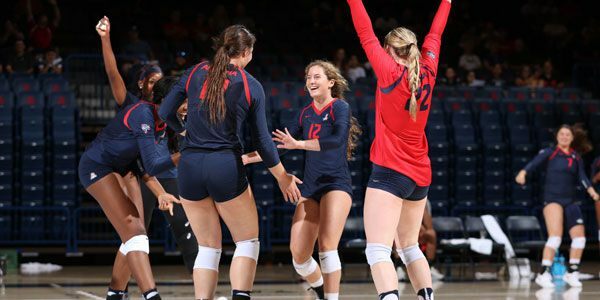 For questions about the Wildcat Club or to find out more information about your membership, please email us at wildcatclub@arizona.edu or call 520-621-CLUB (2582). 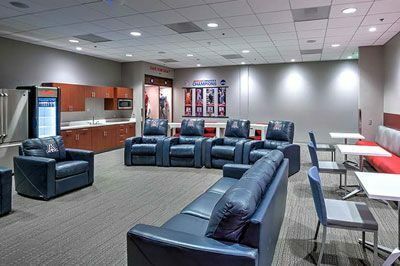 More concession options: Arizona Stadium will now offer a wide variety of food (including local fare) and beverage (including beer and wine) options. More convenience: Credit cards will now be accepted at all concession stands. More excitement: Each time the Wildcats score, we will launch fireworks and throughout the game you’ll be hearing more of the Pride of Arizona Marching Band. More savings: We’ve lowered both season and single-game ticket prices. More information: Score and stat updates will be shown on the main video board in addition to the auxiliary board. 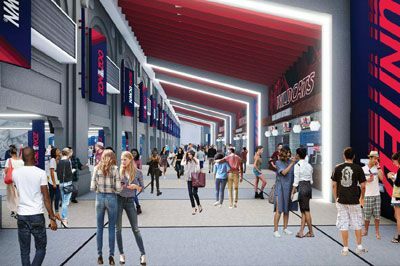 Better amenities: We know improvements to Arizona Stadium fan amenities are needed, and we will address these in phases, starting with the eastside concourse. The eastside concourse will have new concession stands, restrooms, and social gathering areas ready for the 2018 season. New accouncer: Jeff Dean is the new PA announcer for Arizona Stadium. You may recognize his voice from Men’s Basketball games in McKale. Don’t have game tickets yet? Click here to purchase. Want to attend the Wildcat Club/A-Club tailgate? Click here. Have you heard about the Cat Cruiser? Arizona Athletics and Bon Voyage Travel have teamed up again this year to offer the Cat Cruiser transportation program to help get you to and from Arizona Football games. For more information or to reserve your seats on the cruiser. BRAND NEW–WILDCAT CLUB APPRECIATION NIGHTS! New for the 2018-19 seasons, we will be hosting Wildcat Club Appreciation Nights for multiple Olympic sports throughout the year. Wildcat Club members will receive a promo code valid for two complimentary tickets to a designated Wildcat Club Appreciation Night. This fall, be on the lookout for this special offer with Soccer and Volleyball! Last week we sent out the 2018-19 membership cards via email to all current Wildcat Club members. Membership cards feature two key pieces of information on them: your account ID and annual benefits level (which determines your benefits). Feel free to print out your card and keep it in your wallet, or simply refer to it electronically! 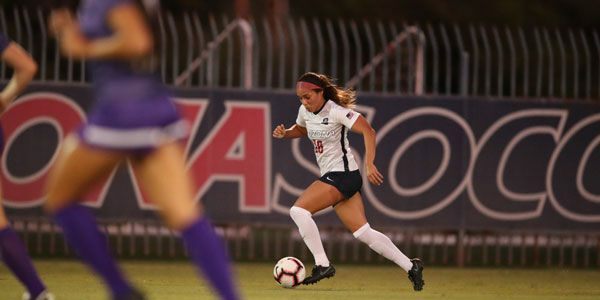 © 2018 ARIZONA ATHLETICS, ALL RIGHTS RESERVED.